Libertyville Stars - GOOD LUCK, BRITTANY, AT THE USA GAMES! GOOD LUCK, BRITTANY, AT THE USA GAMES! 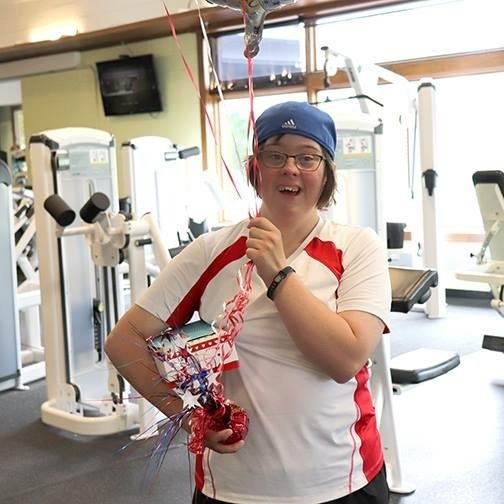 Congratulations and best of luck to our very own Brittany Nippes, who will be competing in the USA Special Olympics Games in Seattle, Washington, July 1 - 6. Since being chosen for the national competition, Brittany has been working so hard, individually and with a personal trainer. Brittany will be competing at the King County Aquatic Center in backstroke and butterfly. We're so proud of you, Brittany! You ARE a Star!